The recent gas explosion ripped a hole in Greenwood’s heart just as it was entering a new era of economic vibrancy. Greenwood’s many vacant storefronts had been filling up, reflecting a renewed appreciation for a business district built around the last in-city stop of the Interurban Streetcar. The neighborhood also marked the physical transition to automobile suburbs, reflected in the huge auto-oriented commercial center immediately adjacent to the walkable main street. Join former President of the Greenwood Community Council (and former Mayor) Mike McGinn for a discussion of growth, zoning, urbanism, and neighborhood advocacy as reflected in Greenwood’s built environment. Though far from the center of town, its issues are right at the center of the challenges and conflicts arising from growth. Please consider a donation. We suggest a $10 donation which will help keep The Urbanist up and running – this can be paid below or in-person with cash, check, or card. RSVP using the Facebook event. We look forward to seeing you on Saturday! For those using foot power, there are ample options to get to Greenwood, including Routes 45, 5, and E line or bicycle parking around the district. The side streets also have plenty of parking. 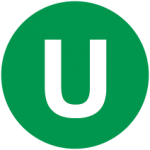 The Urbanist was founded in 2014 to examine and influence urban policies. We believe cities provide unique opportunities for addressing many of the most challenging social, environmental, and economic problems. We serve as a resource for promoting and disseminating ideas, creating community, increasing political participation, and improving the places we live. The Urbanist's Editorial Board is comprised of its senior editors, publication director, and senior reporter.